A dear friend of mine recently finished a study on the book of Hosea. If you’re scratching your head and wondering who in the world Hosea is, he was a minor prophet of the Old Testament who did all he could to warn Israel of their falling away from God while reminding them of God’s unfailing, persistent love and mercy. The study made my friend think about who she is in Christ, and that got me thinking…who am I in Christ? Who is my family in Him? 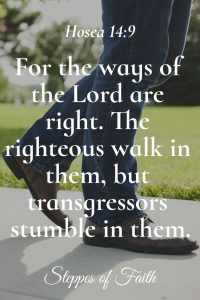 Where are we in our walk with Him? Are we being faithful? Since Hosea caused my friend some introspection, I thought I’d dig into this often-overlooked book of the Bible and see if I can find the answer. The book of Hosea occurs at a time when Israel was divided into two regions- Israel (Ephraim) to the north and Judah to the south (Jerusalem was in Judah). King Jeroboam II had just passed away after years of national peace and prosperity and now Israel was experiencing rapid moral decline. The kings of both regions were incredibly weak. They continually promoted idolatry and formed political alliances with neighboring heathen nations as a means of defense instead of seeking God’s help. Their people were morally wayward and corrupt, and the Jewish nation as a whole had lost sight of God (again). For thirty years, Israel’s kings were assassinated by others who wanted to take over the throne. The Assyrian empire took note of the mayhem and finally conquered Israel, and Judah to the south appeared headed to a similar fate. That’s when Hosea started prophesying. Hosea is sometimes called the St. John of the Old Testament because of his messages of God’s love. His main goal was to remind the Israelites of God’s persistent faithfulness and love. But, he also had another mission- to warn them of God’s imminent judgement on them. Day after day, he doggedly alerted everyone, but they wouldn’t listen. God had yet another purpose for Hosea. He favored Hosea like He did Job, but God still made him suffer to prove an important spiritual truth to the Israelites. And, it started with God’s choice of wife for Hosea. Now, I don’t think I’ve ever heard anyone use harlotry three times in one sentence, so we must assume that Hosea knew full well what he was getting himself into. I’m not sure he fully understood exactly how tumultuous it would get, though. From our 21st century perspective, we already know what’s going to happen to the marriage. Gomer was either already the fooling around type or she was about to be. Maybe Hosea saw it coming too, but he still obeyed God. 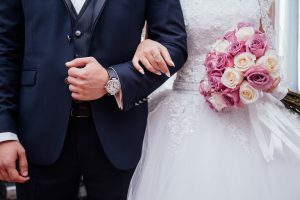 Hosea’s marriage to Gomer was meant to be a living example of God’s faithfulness to His people despite His bride, Israel, being complete unfaithful. In this grand illustration, Hosea represents God and Gomer represents Israel. We can only assume Gomer was a virgin at the time she married Hosea because of who she represents, but because God called her a harlot, we can also assume she strayed from the marriage at some point. Similarly, the nation of Israel strayed from her husband (God) numerous times. And, numerous times God forgave her and took her back. Hosea forgives Gomer too, each time renewing his faithful love to her and proving that God’s love is greater than any sin. Here, the word knowledge comes from the Hebrew word yada, which basically means an intellectual relationship. In other words, the Israelites had no meaningful relationship or connection with the Lord. It had gone on for long that it had raised God’s anger and now His just punishment was coming. But, God loved Israel so much that He felt a little torn about what to do, so He gives the people a quick historical review. God reminds the people of Jacob’s lying to gain Esau’s inheritance, of their rebellion in the wilderness during their exodus from Egypt, and their shouting for a king, which God eventually gave them (1 Samuel 12). And now Israel was acting up again. In the final chapters of Hosea, we can sense God’s anxiety and frustration over what to do. So, He does the only thing He can do. 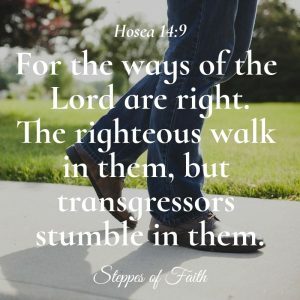 Hosea ends with a final caution that we should be wise and seek understanding because God’s way is always the right way. He reminds us that God wants us to remain vigilant in our commitment to Him. Hosea spoke the truth back then, and it’s still true today. The book of Hosea illustrates our need to make a choice. Are we going to continue rebelling against God or are we going to repent and receive His infinite blessings? Are we going to act like an unfaithful spouse sneaking around and hoping God won’t notice, or will we turn back to Him and enjoy His love? We don’t view ourselves as needing to make this kind of choice very often, so let’s take a moment for a quick self-exam. If we find ourselves skipping church, dodging prayer time, prioritizing non-church activities, and making general life choices that are outside of God’s will, we will experience God’s punishment. We won’t lose our salvation, but we must still endure severe consequences because we have walked away from Him. And, for those of us who haven’t committed to God just yet, the consequences are worst of all—eternal death, which sums up everything Hosea was trying to say. We must choose wisdom and pursue God every day. Our commitment to Him is exactly like our commitment to our spouse. Straying leads to very unpleasant outcomes. So, we must decide today who we’re going to be, faithful or wandering? Let’s consider our children. Will we teach them the importance of being faithful to God or will we let them go astray like the prodigal son? How about our friends? Will we encourage them in the Lord or will we let them figure things out on their own? Faithfulness to God is its own reward in so many ways. If you have walked away from Him, it’s not too late to repent and go home. He’s ready to welcome you with loving arms and help you bloom into something amazing. All it takes is a little trust. Just as Jesus said He came to heal and save the lost (Matthew 18:11), He longs to heal you and save you. 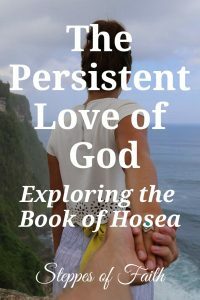 How does Hosea remind you of God’s persistent love for you? How can you apply the same grace to your family and friends? Please leave me your comments and thoughts. I’d love to hear from you. 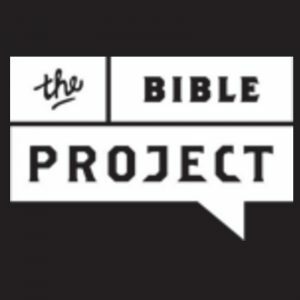 For a quick video overview of each book of the Bible, hop over to The Bible Project (not an affiliate link). They do a fabulous job simplifying God’s word for easy understanding. They also cover many other Bible study topics to help you go deeper into the Bible. Donations to further their project is welcome, but there is no obligation.